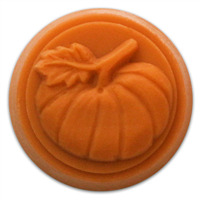 The Pumpkin Small Round Mold is great for making handmade Halloween inspired guest soaps. 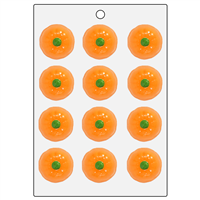 The small round bar mold features a smiling jack-o-lantern shape. 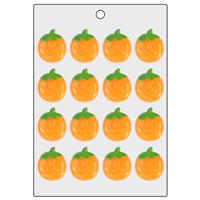 2.25" x 2.25" x 1.15"
Bar Length: 1.2" Bar Width: 1.2"